In the gospels there is a wonderful story about how Jesus found men toiling under the sun trying to catch fish, but only catching some, with their nets. Many have taken the story to mean that Jesus came over and told them that they should give up on their careers, follow him and spread the gospel instead. But this my friends is not only what this story means. In fact, what the revelation of this story could mean for your life is quite profound. You see, not everything that you read about in Scripture is as it seems. There’s a hidden treasure that when revealed can change the very lives of those who read the stories to begin with. 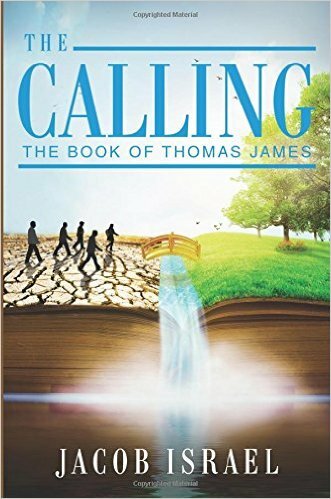 For those of you new to “Jacob’s Ladder” you will find much of what I write here deals with the hidden mystery of scripture. For it is the SPIRIT of the scriptures that give life (enlightenment) to the reader. As the apostle Paul wrote, “the letter/literal kills”. The MEANING/SPIRIT of the story teaches a person something, while focusing on the literal aspects of the story (which were never meant to be taken that way) kills the very LIFE/ENLIGHTENMENT found within the revelation of what that story means. So much of what we read in the scriptures are an allegory. Which is why Jesus said clearly to his disciples in the gospels, “it is given to you to know the MYSTERIES of the Kingdom of God and unto them who do not have this insight ALL THINGS are shared in PARABLE”. Now does this all mean that there were not literal events that happened that we read about? Well, that is not really the point is it? What REALLY matters is what a person gains from the story. I often use the parable of “The Boy Who Cried Wolf” to illustrate this point. It does not matter whether there was a boy or a wolf, what matters is the SPIRIT of this story, which is of course that one should not lie or exaggerate. The same is true for the events surrounding these “Fishermen”. It does not matter whether there were literal fisherman or literal nets, what REALLY matters is WHAT THE STORY MEANS FOR US. What TRUTH is hidden within these verses. What is it that “GOD” is trying to say hidden within the context of these stories? That is what matters! The TRUTH is hidden within these stories and it is our great honor to find these treasures for ourselves. The revelation of which, comes only when one looks beyond the literal story until the spirit of the story clicks within and is revealed. When this happens it is like the “lights go on” and one finally understands the depth, and freedom, of the revelation that was once hidden within what seemed to be a pretty cut and dry story or a man telling a bunch of other men to follow him. Now when this revelation hits it is like a LIGHT finally shining in a dark place allowing an individual to finally move about with the confidence, and wisdom, of where they should go next. Now I do want to point out that the truth can’t be forced. It must come from deep within, it must be revealed. And when the TRUTH is revealed it is like being healed of blindness spiritually. The TRUTH gives SIGHT to the blind, EARS to the deaf, strength to the lame, a tongue to the mute, brings to life what has been dead/ignorant, casts out the lies/demons that possess men and women, and much, much more. We see this happening time and time again with every “miracle” Jesus performed. It DOES not matter whether they were literally healed or not, what mattered is that they HEARD THE TRUTH and UNDERSTOOD THE TRUTH. What does it really mean? Why did these men leave their chosen profession and forsake their nets? Are their nets symbolic of something else? Are the Fish A METAPHOR for more? The answer to all of these questions is YES, YES, AND AMEN! Bad Religion takes scriptures and twist them. Scriptures like Luke 18:29 And he said unto them, Verily I say unto you, There is no man that hath left house, or parents, or brethren, or wife, or children, for the kingdom of God’s sake, 30 Who shall not receive manifold more in this present time, and in the world to come life everlasting. … Bad Religion has used these scriptures to manipulate people into focusing on serving bad religion and bad religion alone regardless of how many families or lives are torn apart in the process. Sadly, people today have taken these things literally and have used even these scriptures to justify not living up to the responsibilities of being a parent or spouse. A great example of how the LETTER/LITERAL kills. The tricks, snares and nets of religion can convince people that they would be rewarded for such nonsense like leaving jobs, homes, family and friends behind to serve Bad Religion’s version of the Kingdom of God. Which they present as some FUTURE award… when the KINGDOM OF HEAVEN AND GOD has always been and NOW EVENT. The salvation of our souls is finding this RIGHTEOUSNESS, PEACE, AND JOY within us. This is HEAVEN ABOVE. A higher form of thinking. RIGHTEOUSNESS, PEACE AND JOY are not found in selfish ambition, but by LOVE! If truth be told this HEAVEN that Bad Religion is selling today does not exist! BEHOLD THE KINGDOM OF HEAVEN IS WITHIN YOU. The POWER AND WISDOM OF GOD (Christ) saves us from the lies/nets bad religion has cast upon us to control us. God has thoughts of peace, power, and a sound mind. God does not give us the SPIRIT OF FEAR, yet man’s ways are below God’s ways… And one of the greatest NETS Bad Religion has used for far too long is FEAR. “Do this or that OR ELSE!” But the TRUTH delivers us from these nets, as Jesus delivered these men from their nets. There was no joy, peace, and righteousness/right-thinking found in casting net after net into the sea of ignorance we call this world for these men. This is the reason that when the TRUTH (Jesus) appeared to them they were ready to FORSAKE their nets once again for all and become fishers of men! So it becomes clear, the story of the fishermen leaving their nets behind to follow JESUS is a symbol of so much more. Every piece of this story is rich in meaning and hope. These NETS have more to do with the lies of religion and this world than literally catching fish as you will soon see. The good man is perished out of the earth: and there is none upright/honest among men: they all lie in wait for blood; they hunt every man his brother with a NET. You will soon see these NETS are everywhere today, and they mean one thing for those caught and that is DEATH/SUFFERING. While the captors can enjoy the spoils of the catch (their money and devotion). You see these FISH HAVE GOLD INSIDE! Controlling people means more than just devotion and blind faith, it means their wealth is your wealth. BAD RELIGION knew this and JESUS KNEW THIS. Jesus proved this point when the religious leaders demanded temple tax and he told his disciple to catch a fish (which you will soon see is an ignorant person) and take the gold from its mouth. BAD RELIGION wants that money, and to get it you had to HOOK or SNARE one of the ignorant fish/people in the sea to do so. It’s all about money and power for the Bad Religious, and those NETS had to constantly be mended, because they were easily broken. Which is why in each encounter in the Gospels we see the fishermen either using their nets or tending to their nets. These NETS were important to their financial well-being. Yet, immediately following their encounter with this man Jesus they all left their nets. Mind you, they did not just leave their nets, they FORSOOK them. Now why is this important? You may ask. Well, these NETS by now you should see offer nothing in return but DEATH for fish. The NETS these fishermen were used to make their living is still practiced today, until the TRUTH shows up and shows them a better way. Jesus came along and showed them THAT better way… the WAY… THE TRUTH… and LIFE! Jesus promised to make them fishers of men instead. The difference being what Jesus offered did not mean death for these “fish/ignorant people” it meant life. And this LIFE was something that bad religion and politics has stolen away from them all. So you see, those who have gotten the masses on their bad religious hooks, and caught the unaware in their bad religious nets only came to steal from those they catch and in return kill their true hope and peace. These thieves continue on this day using their lies and promises and fear to keep the ignorant FISH buying into their religious and political lies. These thieves who say as long as their FISH do as they say, give, obey, serve, make followers and don’t question, promise that when the FISH are finally in the grave they will finally enter the gates of heaven. But these thieves that call themselves religious leaders offer nothing but the death of a fulfilled life. No one, and I repeat no one can enter into the kingdom of heaven under their rule. Mainly because they have twisted everything we read about in scripture into something else. They have created a fantastic narrative that only offers them the power and wealth they crave. These thieves make false promises and put on grand shows tickling the ears of those who hear and like a net dragged in the sea anyone they catch finds nothing but promises that are never kept, pride, bigotry, intolerance, greed and much worse. One can never find Righteousness (right thinking) Peace, Joy and Power in corrupt thinking. And anyone who tries to enter into the kingdom any other way but through Loves gate and denying one’s self, the same becomes a thief and robber as well, who too will find themselves dragging the allegorical net trying to kill more in the name of a god bad religion made up. But Jesus showed them a better way. He revealed the truth to them and he did so using the bait of love and a more abundant life. So right away they left their nets and followed him. They followed him not for worldly gain but for that peace that surpassed their current understanding. I would like to state that they did not just leave their NETS behind to follow Jesus, they FORSOOK their nets! That is quiet an interesting word used to describe them leaving their nets behind, if that is all we are meant to take from it. Let us look at what the word “Forsook” means. This word, “forsook” offers us insight into the deeper meaning of the disciples leaving their nets to become “fishers of men”. To get to the place of wisdom, to return to their first estate, to move from their current understanding to where they truly wanted to go they had to leave the LIES OF BAD RELIGION behind. The apostle Paul spoke about this very thing, when he considered all he had learned from religion, all he had done in the name of religion, he called DUNG! Paul knew the snares and nets of bad religion as well as anyone. Paul and well as David knew how deadly these NETs could be. He knew a NET of LIES cast unto the ignorant fish of the world, meant death and hell (ignorant suffering)for the people. For without cause have they hid for me their net in a pit, which without cause they have digged for my soul. Let destruction come upon him at unawares; and let his net that he hath hid catch himself: into that very destruction let him fall. The “FISH” by now, you should understand are symbols of the ignorance holding MEN AND WOMEN EVERYWHERE captive. It is their carnal ignorance. 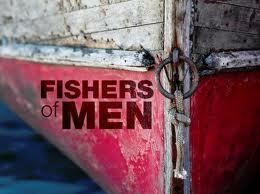 Jesus compared ignorant men and women to FISH, when promising to make his new recruits “Fishers of Men”. Jonah is an allegory of the SPIRIT MAN trapped within the IGNORANCE OF THE CARNAL MAN (fish). Look also what the BELLY OF THE FISH is called by JONAH… HELL! In this verse we see the Fish’s Belly also called the belly of HELL. We know that HELL is the word used to describe the suffering that accompanies ignorance. The FISH are those that are ignorant and lost to the ways of this world (lust of eyes, flesh, pride of life). We also find that Jesus was found in the belly of the EARTH. For as Jonah was three days and three nights in the fish’s belly; so shall the Son of man be three days and three nights in the heart of the earth. We are also told that when Jesus died he entered HELL (Ignorant suffering) to set the captives free in 1st Peter 3. THE BELLY is also a punishment for the SERPENT (carnal ego man) who goes about on his belly digesting only dust/lies. The BELLY is a great symbol for the “womb of the carnal mind”. The BELLY of the FISH is a person’s carnal lust and ego. This is why we see the lying serpent cursed to go about on his belly. They conceive mischief, and bring forth vanity, and their BELLY PREPARES DECEIT. But just as JONAH was freed from his ignorant hell, just as Jesus was freed from the sins of the world that cast him into the depths of the earth/hell/grave, just as these fishermen were delivered from their miserable lives, so also are we when we stop trying to rule over others, make money from others, or get others to do what we want them to do. The instant we forsake the NETS of our past and become fishers of men ourselves by sharing the truth without wanting anything in return, then the heavens open up and we find the rest Jesus promised. There are those who kill their FISH – The bad religious do this. There are those who fish men out of their ignorant despair and offer them life and hope. When Jesus asked them to follow him he was leading them to the kingdom of heaven, and I pray we can do the same for others! Which are we? Fisher of Men or Killers of Fish? IT’S TIME FOR THE FISH TO COME OUT OF THE WATER! IT’S TIME TO HELP OTHERS WALK UPON THE WATERS INSTEAD OF DROWING IN THEM… ONCE WE PULL THESE FISH OUT OF THEIR IGNORANCE, THE HEAVENS WILL OPEN UP AND THEY TOO WILL KNOW WHO THEY ARE AND WHAT THEY ARE CAPABLE OF. It’s time for Bad Religion to forsake their nets, let’s help them all become fishers of men by showing LOVE! I just loved your comment. It really means more to me than you might know. There was a time that very few people understood these things and now today I see so many more excited about the good news that is waiting for us all! Please do subscribe if you haven’t already, it is completely free and keeps you posted on everything new posted to the site. Also feel free to share anything you find on this site with others. I sure hope to hear from you again, have the best week ever, Jacob! Talk about synchronicity! I have recently started to read various books that are helping me to understand the spirit of the word rather than taking the word literally; then you blog site pops up just as I was wanting to delve deeper into Truth. I have gained so much from this article, I don’t know if you will ever know what you have done for me! Thank you so much for sharing your wisdom, I feel so gratefull. Thanks so much my friend! Hope you are well! In light of what you wrote here, I thought you might be interested in this writing. Ah, the universe of God – all around us and also in us.